The National Health Insurance (JKN) participation in Jakarta has reached 98.19 percent or 10,146,399 people out of a total population by 10,333,926 people.
" This program must be on target"
Assistant for Jakarta People's Welfare, Catur Laswanto stated that this achievement has exceeded the minimum limit as stipulated in Presidential Regulation No. 2/2015 on the 2015-2019 national medium-term development plan (RPJMN), which is 95 percent. "This is a very encouraging result. Jakarta Provincial Government will ensure all Jakarta residents, especially those who cannot afford to have JKN," he stated, during socialization of Presidential Regulation No. 82/2018 on health insurance and evaluation as well as plans for follow-up efforts to optimize the JKN Program, at City Hall, Tuesday (11/13). 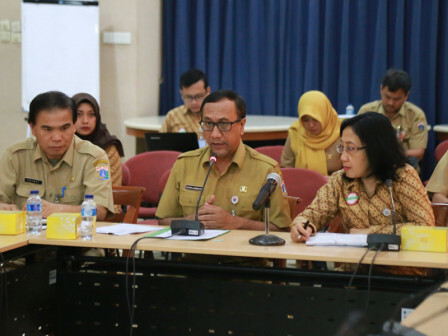 He asks the Population and Civil Registration Dept., Health Dept., Social Dept., and other related units along with BPJS Kesehatan parties, to record the JKN participation in full and detail. "This program must be on target," he stressed. Hopefully BPJS Kesehatan could also coordinate with RSUD in a bid to minimize existing constraints. "All are obliged to provide excellent health services to the people," he stated.